Technology solutions distributor with nearly $8B in annual sales teams with WhiteboardSelling to more effectively train, prepare and support its global network of VAR partners. Avnet Technology Solutions, part of Avnet, Inc., is a leading distributor of IT solutions in more than 30 countries with $7.6 billion in sales in fiscal 2008. Avnet Technology Solutions distributes hundreds of products from leading hardware and software vendors, including HP, IBM, Sun Microsystems, Oracle, AMD, NetApp, Microsoft and McAfee. Avnet enables solutions providers to grow faster with less investment by helping them understand their customers' unique business requirements and industry-specific needs, and allowing them to deliver unified solutions that combine technologies and services and span supplier lines. Avnet Technology Solutions has a large network of value-added reseller (VAR) partners worldwide. These partners help global customers implement and integrate the hundreds of products Avnet distributes from major hardware and software providers, including IBM, HP, Sun Microsystems and Oracle. In an increasingly competitive market, Avnet is one of the only distributors to focus on a “solutions provider” approach – going far beyond shipping products to offer VARs specialized training and services to help drive real sales success. Avnet knew that in today’s competitive market, end customers expect VARs to understand their business and the unique requirements of their industry. Avnet wanted to provide its VAR partners with both solution-centric and customer-specific knowledge so partners could more quickly profit from high-growth markets and accelerate sales. But Avnet wasn’t sure how to best impart critical knowledge about new product line positioning, as well as up-to-the-minute strategies, to its network of global VAR partners. The company knew that traditional sales meetings with traditional PowerPoint™ presentations would not convey the excitement, urgency and passion for success Avnet hoped to share with its VAR partners. As part of its innovative solutions provider approach, Avnet wanted to present sales training to its VARs in a visual, interactive and engaging way. 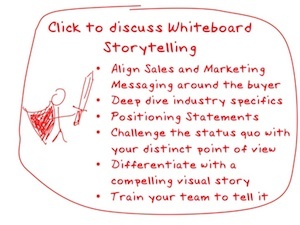 Avnet implemented WhiteboardSelling, an interactive sales enablement solution that gives salespeople the ability to convey their organization’s message and value proposition visually – on a whiteboard or any other writing surface – in a compelling, confident and consistent fashion. Avnet worked hand-in-hand with WhiteboardSelling to launch the Pro Series Whiteboard Symposium, a program aimed at offering training and development to VAR partners in 10 countries worldwide. Avnet and WhiteboardSelling created custom, interactive whiteboards for three Avnet product lines, including NetApp and Oracle, which they used to train sales professionals at their VAR partners. 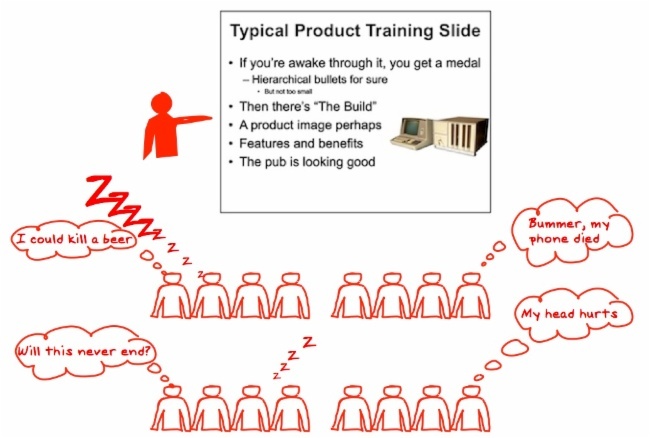 The free, half-day training sessions were offered in local languages to sales teams around the world. Already, more than 3,000 sales professionals have taken part in Avnet Pro Series Whiteboard Symposium training. Sales professionals gained new knowledge about specific products and technologies, as well as a better understanding of the vendor company’s updated value propositions. The sales professionals were then able to take this knowledge with them in the field to deliver exciting and compelling sales presentations, recreating what they learned on whiteboards and other writing surfaces in meeting rooms around the world. The WhiteboardSelling solution, which combines technology and message development services for interactive whiteboards, training and certification, and online tools to manage and track the WhiteboardSelling sales process, allowed Avnet to train more than 3,000 sales professionals at its VAR partners. By taking part in the training program, sales professionals were better armed with value proposition knowledge, sales strategies and technical information to make more confident and effective sales calls – driving a significant increase in closed deals. What’s more, by providing training via the WhiteboardSelling solution, Avnet showed its VAR partners its strong commitment to doing far more than just shipping boxes. With WhiteboardSelling, Avnet was able to offer VARs the value-added solutions they need to sell more and sell more effectively, differentiating itself from classic distributors in a highly competitive market. "Providing our VARs with the most up-to-date information and positioning on our top product lines, as well as training them in the proven WhiteboardSelling sales methodology, is essential for their sales success," said Cheryl Neal, Director of Marketing, Technology Infrastructure Solutions, Avnet Technology Solutions, Americas. "Avnet is committed to building lasting, strategic relationships with our value-added resellers, and WhiteboardSelling has enabled us to instill confidence and boost the effectiveness of thousands of sales professionals selling our product lines across the globe." "We are very excited by the outcome of the Avnet ProSeries Symposium, and it is very complementary to NetApp's brand awareness activities," said Paul Mayes, Director, Worldwide Distribution Sales at NetApp, an Avnet supplier partner. "Participants are walking away with a high level of knowledge about NetApp solutions and a high level of confidence in their ability to deliver messaging that can be customized to address the needs of each customer or prospect."